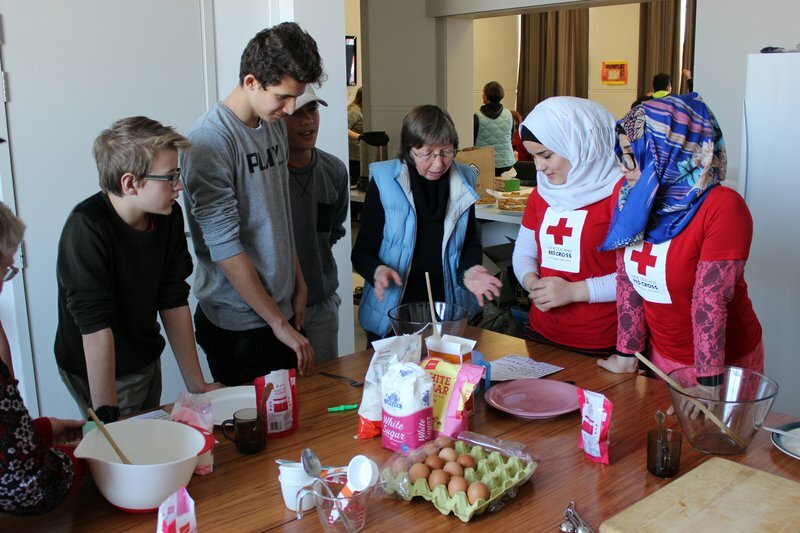 There’s no chance of kids getting bored this school holidays, if they are part of the Young Humanitarians programmes in Dunedin and Invercargill. Over the July 2018 school holidays, 20 Dunedin kids and 17 kids from Invercargill have been baking, learning, exploring and performing random acts of kindness. It’s all part of Young Humanitarians, a programme that shows kids between 9 and 13 years of age how fulfilling volunteering can be. Sakhr and the kids travelled to Orokonui Ecosanctuary to volunteer their time, learned introductions in Arabic and Maori and hit the streets to perform 'random acts of kindness'. They also joined in on Dunedin University’s Sports Day, where the kids learnt about gender equality. In Southland, the kids were busy with activities that included volunteering at a local rest home, spending a day with the local Disaster Welfare and Support Team, learning about refugee resettlement and crafting card bouquets for nurses at the hospital. Take a look at all the great things this team of awesome kids got up to here.